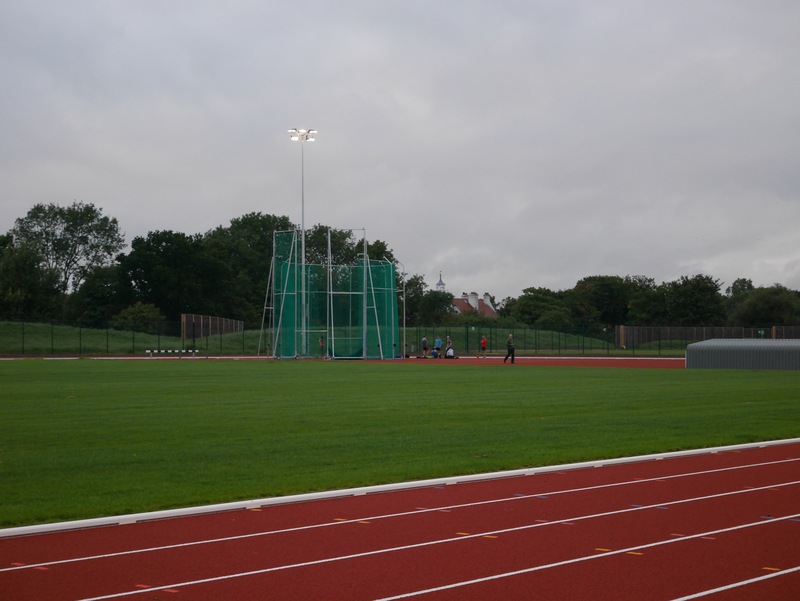 Competing at the weekend in Kingston’s Annual Open Throws, Walton athletes had a tremendous day. There were solid performances from our Seniors, Rob Smith with 37.42m in the Hammer and Joe Eastwood 35.79m in the Javelin. There were new PBs for Jakob Howe 33.68m in the Hammer and Eva West 39.51m also in the Hammer. Nicola Bell threw a PB of 40.19m in the Javelin and Hammer seasons best of 39.52m. Sam Mace threw the Hammer 64.07m, a new PB and also increased his U20M Surrey Hammer Record from last year. 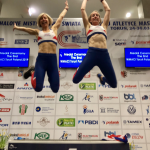 Walton AC Masters Athletes had a highly successful week in Toruń, Poland last week at the World Masters Indoor Athletics Championships. 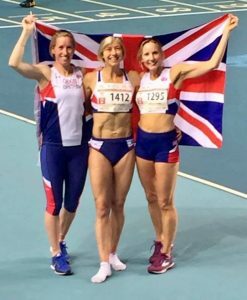 Susie McLoughlin, Virginia Mitchell and Joanna Flowers started the week with with the 400s, all qualifying comfortably for their finals. 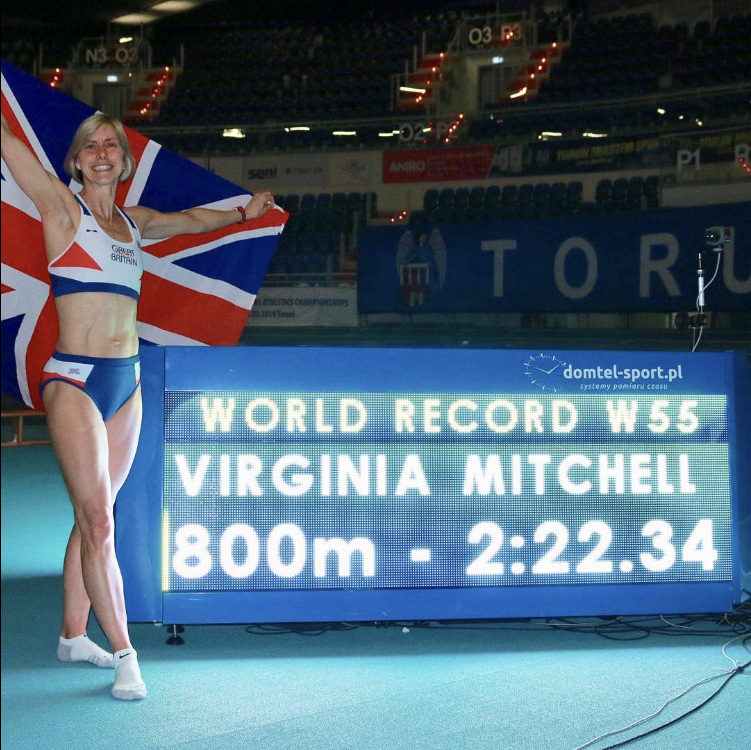 Virginia set the tone with an emphatic victory in the W55 category in 63.21, swiftly followed by an exciting race in the W50 category where Jo finished strongly coming through to take her first ever World medal in second place. Susie was next up and ran a controlled race to finish in 4th. 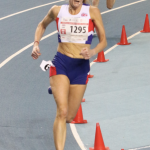 Next were the 800s where Liz Amos made her World Indoor Masters debut. 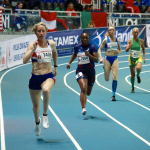 She cruised through her heat and came a creditable 4th in the final in a scrappy race resulting in the Irish athlete falling and the Swedish athlete fracturing her shin bone . Virginia was going for the double but had tough competition as she was up against the current W55 800m world record holder. In a thrilling final lap Virginia made up a deficit of 5 metres to win in a new world record of 2.22.34. The penultimate day saw Susie and Jo back on track for the 200s. They both qualified for their finals comfortably with Jo running another consistent race from a difficult lane 1 and coming home in 4th. Susie lined up in lane 6 with the Polish athlete and main rival inside her. The Polish athlete proved too strong and Susie finished strongly in 2nd. The final day saw Susie and Virginia back on track for the 4×200. More medals came their way in the form of silver and bronze. A big congratulations to our amazing Walton AC Masters athletes. Roll on the European Championships in Italy in September. 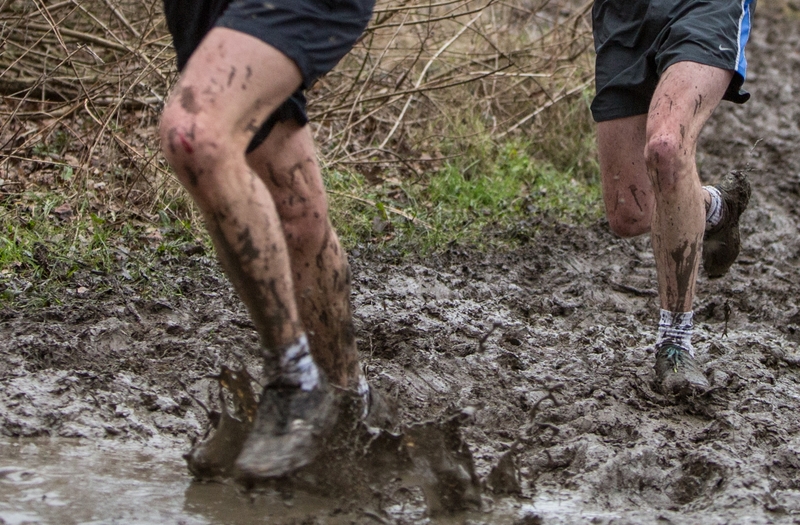 A small but determined team of Walton athletes made the very early start to travel up north to Mansfield to compete in the English Cross Country Relay Championships. 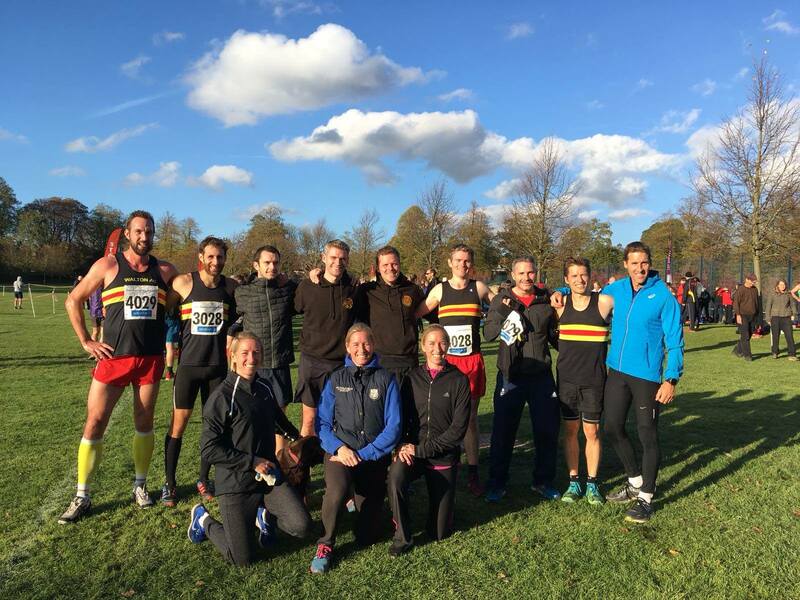 The pinnacle of the relay calendar, on the superb course at Berry Hill Park once again drew in great crowds from all over the country to watch the age group races. First up was the under 17 women running over 2:5km. Emma Horsey led the team off coming home in 26th place. 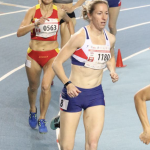 Handing over to Charlotte Vaughan who made up good ground and pulled the team back into 15th place and the final leg was taken by Rachel Pharaoh who maintained good form and brought the team home in 16th place. The under 17 men running over 3km, were next to compete. The A team of Ben Marks, club captain Ben Fitzpatrick and Oliver Coppolletti did extremely well and came home in 16th place out of 75 teams, with Ben Fitzpatrick running the 10th fastest time on leg 2. The B team of Tom Jones, Michael Cottrill and Edward Dawson came home in 53rd place. Last to compete was the under 15 Boys over 2km. The A team of Jack Gemmell, Ross Hurst and Ollie Emment did outstanding and finished in 10th place out of 93 teams with Ollie Emment running the 7th fastest time on leg 3. The B team of Joseph Daws-Twilley and the Punton twins, Finn and Josh came home in a credible 59th place. Well done to all the athletes who made the trip north and for the wonderful support from all the parents. 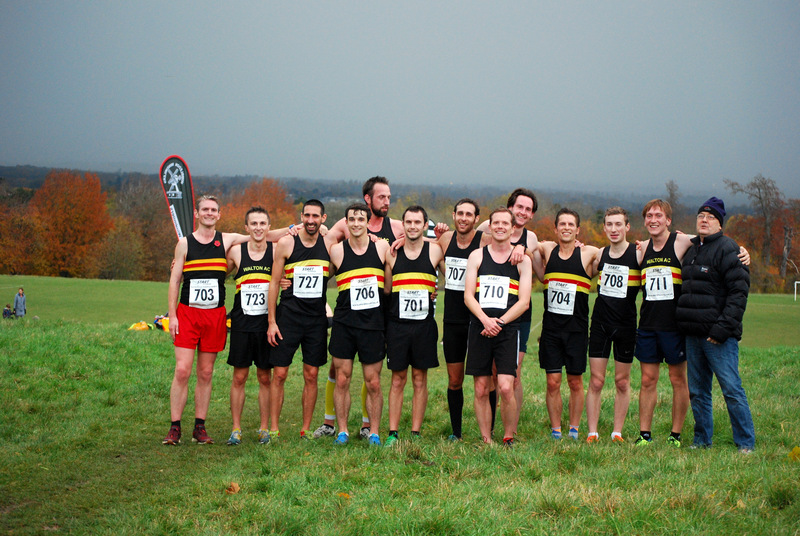 Team third for Walton senior men at Priory Relays! The sun was high and the wind likewise as the WAC men and women donned their vests for this annual piece of fun. After a couple of drop-outs during the week nine men turned up to race, presenting a minor difficulty in teams of four. However, some internal wrangling and a change to the paperwork gave a solution with some doubling up to complete the C team. On the women’s side, the legendary Williams sisters were having their first cross-country race together since records began and seemed to enjoy themselves immensely, stepping up from their somewhat more accustomed distances to tackle this 4km course. The men’s A team was led off by Andrew Crooks, returning to XC running this season after a few years away. Andrew handed over to Jamie Mcloughlin who ran a storming second leg (fastest WAC runner of the day) to hand over to Jon Ladley. Another strong leg from Jon brought us into the final leg in fourth place as Jon handed over to Chris de Mauny. Chris passed the third placed runner on the flat section on the top of the hill and ran in to clinch third place. Both the first and second placed teams (Dorking and Belgrave) contained current or former senior internationals: Walton was very much the “best of the rest” today. 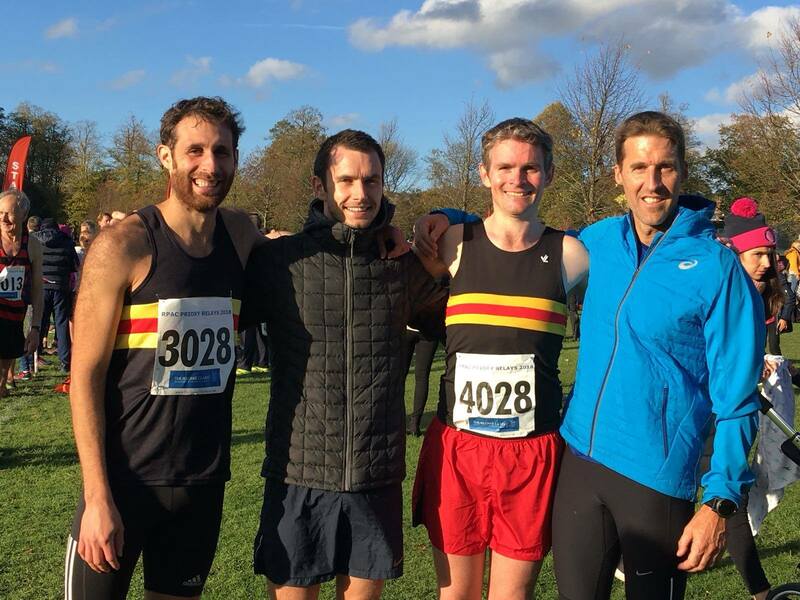 Rob Marcus, Chris Ness, Richard Drew, James Bartosik and Adam McCarthy had a complex race among themselves since between them they managed seven legs of the four-leg relay, Andrew Crooks also running a second time to complete the C team. Full results are not yet available but will be here soon.